Plain weave glass cloth weighing 175gm/sq.m. available in various widths and stitched on either side to prevent fraying. Used commonly to reinforce seams and joints in canoes, kayaks and boats. This material is compatible with epoxy and polyester resin. Supplied in rolls of 50 metre lengths. 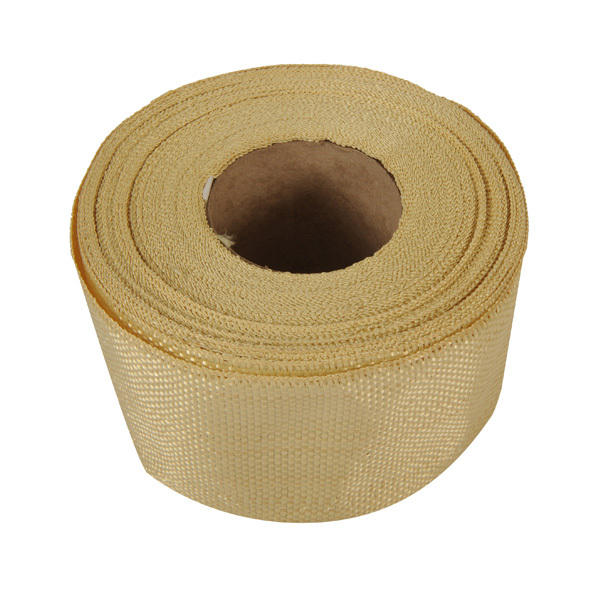 A lightweight, very strong tape to give extra reinforcement in corners & edges. It can also be used to give specific reinforcement in selected areas. Available to purchase per roll or per metre. High performance aramid tape reinforcement providing up to 40% increase in strength to weight ratio in composite moulding compared to glass reinforcement. Best used with Epoxy Resin. A range of high performance reinforcements providing high strength, superior stiffness and toughness options for the moulder of production items or the model maker.